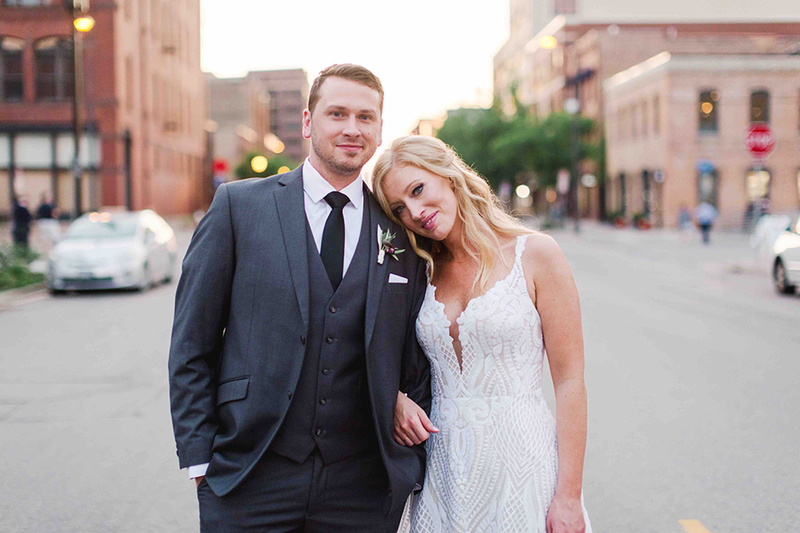 Melissa Jones always knew she wanted to get married at Aria—she had fallen in love with the space while watching wedding videos in college—and when she met David Haerle at a friend’s birthday dinner five years ago, it all started to come together. 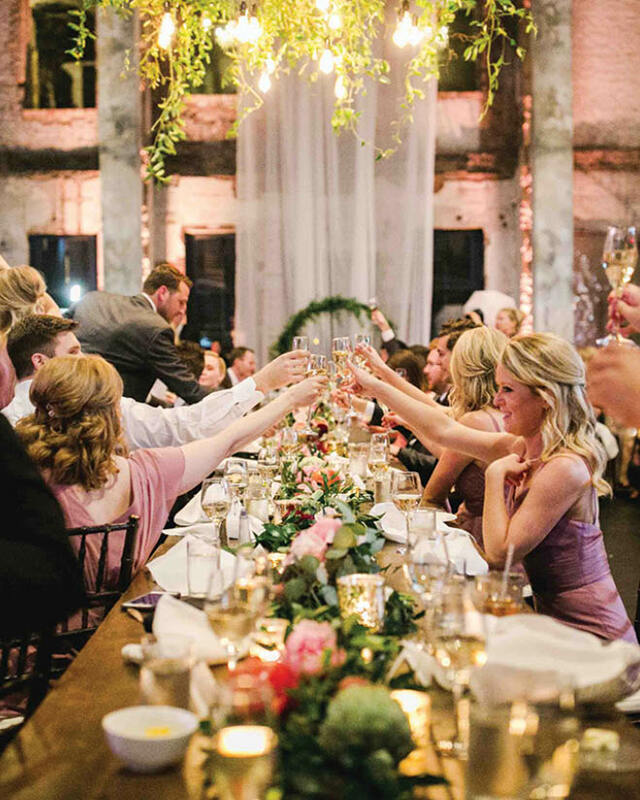 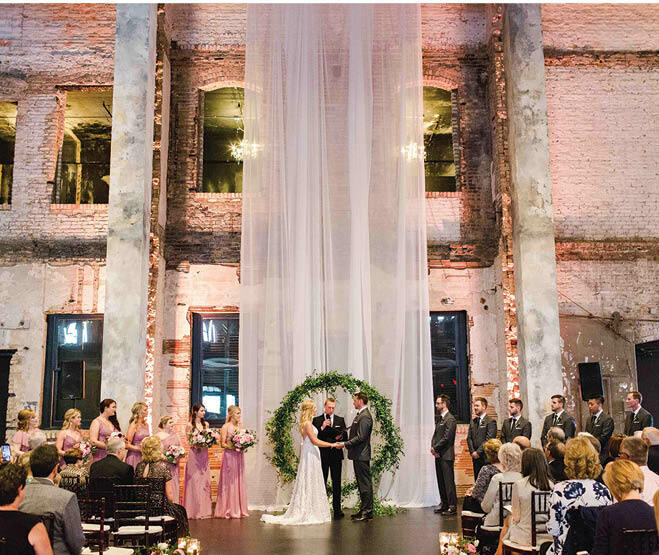 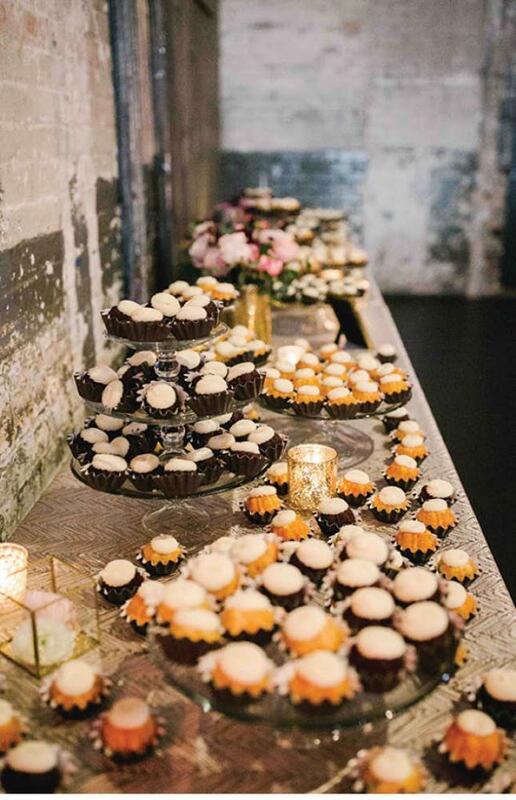 She fell in love with the guy, too, and when they got engaged, the venue was an obvious choice. 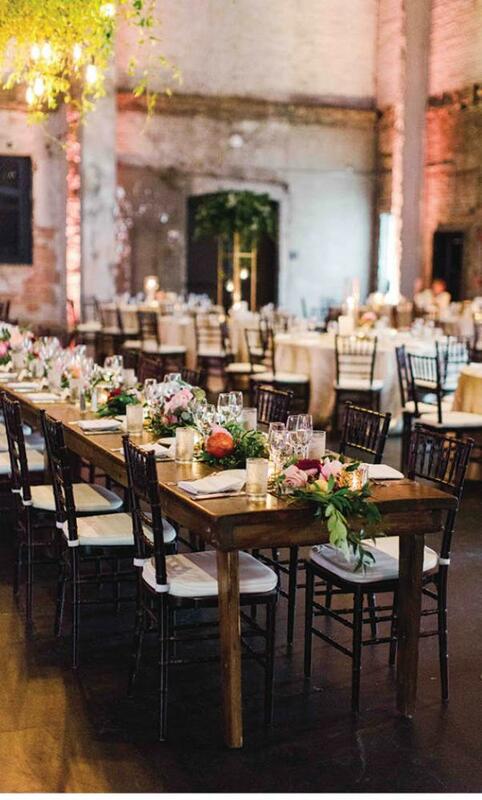 “We loved the industrial space Aria provides and the ability to bring that space to life and add character through décor,” Melissa says. 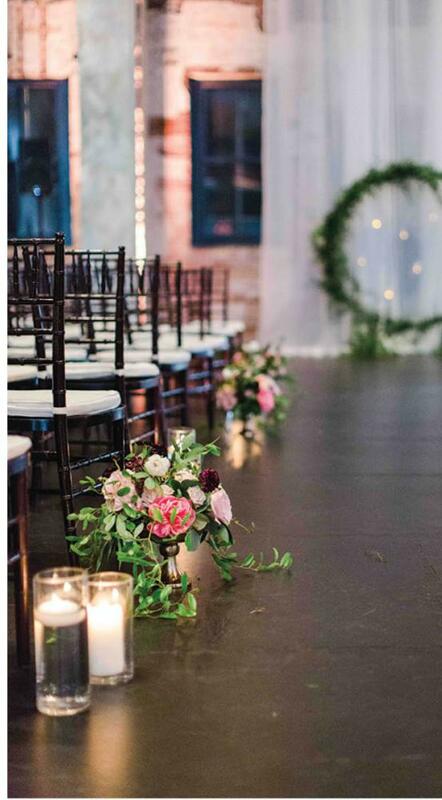 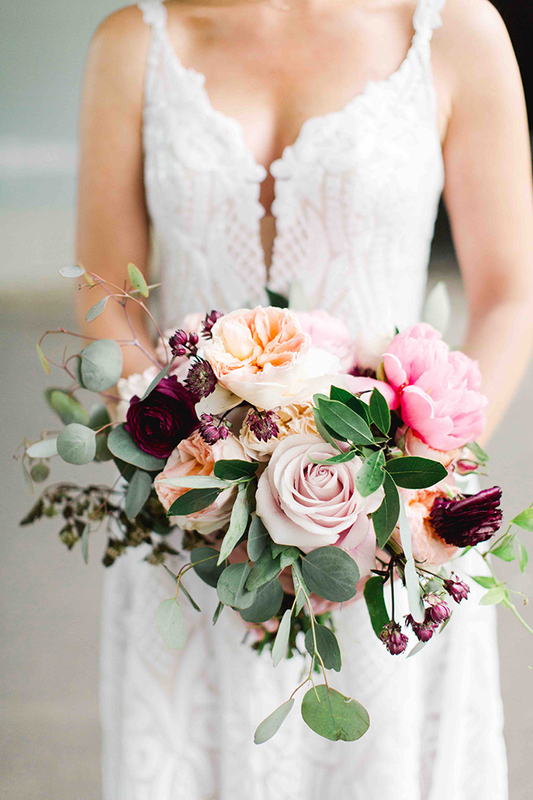 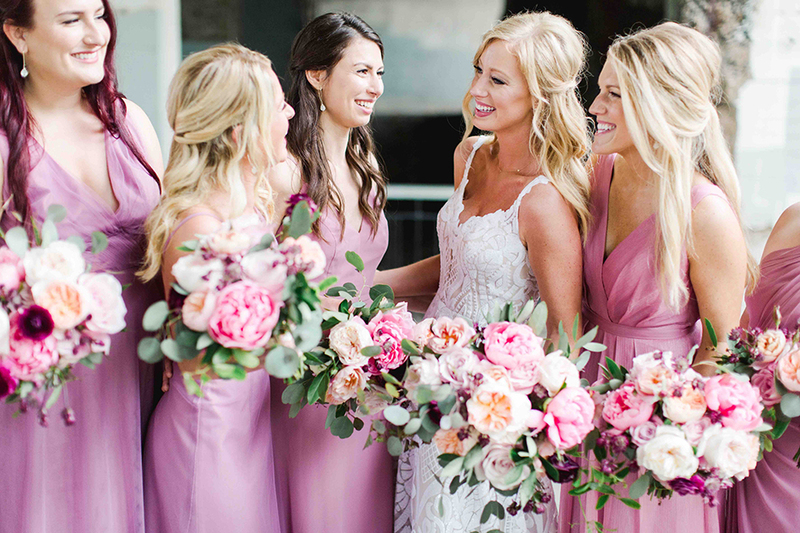 “We wanted it to feel romantic, with an abundance of greenery, candles and loose floral arrangements.” Aria didn’t disappoint—it was an ideal setting for a day full of love, dancing the night away with friends and family, and the couple’s Tibetan terrier, Marley, who joined them for their first look.